Nordic Sweater, Green Skirt: c/o OASAP. Plaid Scarf: College Store Manhattan. Oxfords: Clothing swap, originally Forever21. I arrived back safely to the states Sunday night and was finally reunited with my family. It's been a busy past few days unpacking all my stuff, seeing people I've missed, and trying to recover from jet lag. I'm just so happy to be back. In some ways it really feels like I never left, but rather I was just in a four month long dream and I've finally woke up. Being back in nature especially feels so nice. The peacefulness of it all and just seeing trees, grass, and open land makes me so happy. Perhaps why I didn't care for Italy as much as I thought was the whole living in a city. I just don't think I'm cut out for it. My spirit runs on the rejuvenation I receive through exploring nature and being immersed in it; it's also where I always feel most connected to Christ, as well. Welcome home! 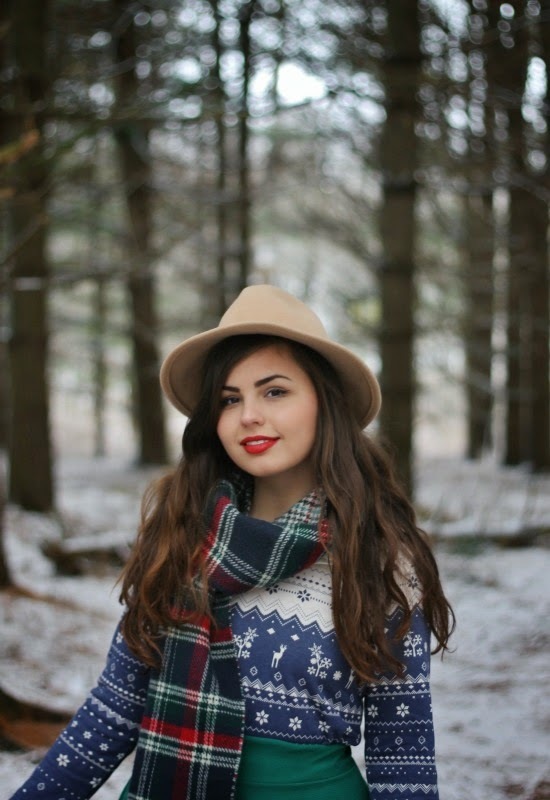 Love this outfit and seeing your outside winter photos - reminds me of when I first found your blog! So glad you made it home safely! I'm sure you are glad to be back! 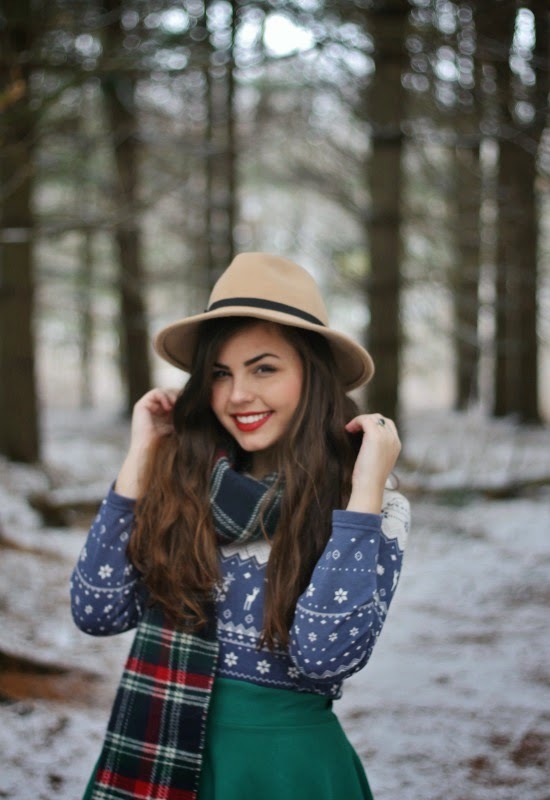 Love this wintery outfit! I'm glad you're happy to be back in Ohio! :) I love the backgrounds of your pictures in Ohio! Your outfit is perfect too! welcome back to the land of nature and trees! Yey!